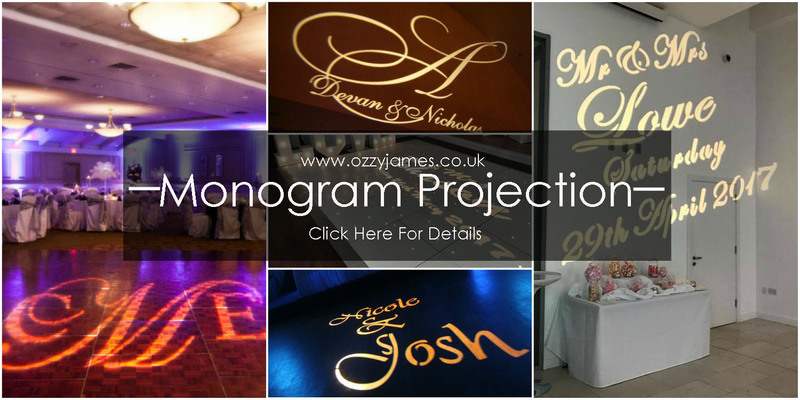 or gobo projection, this the perfect addition to any wedding package. Or display your business logo at your next company party. kind laser cut out that we can then use to project onto nearly any surface. or maybe set to shine behind the head table. seat will have a great backdrop. in order for it to be the centre of attraction. You can also use logo projection for your company event or trade show. Tip- Want to stand out from the trade show floor? the other booths to draw customers to you. in your style of compatible font. This is yours to keep after the event as a keepsake. then return collect the equipment the following morning. so if you have any questions please do not hesitate to contact us.